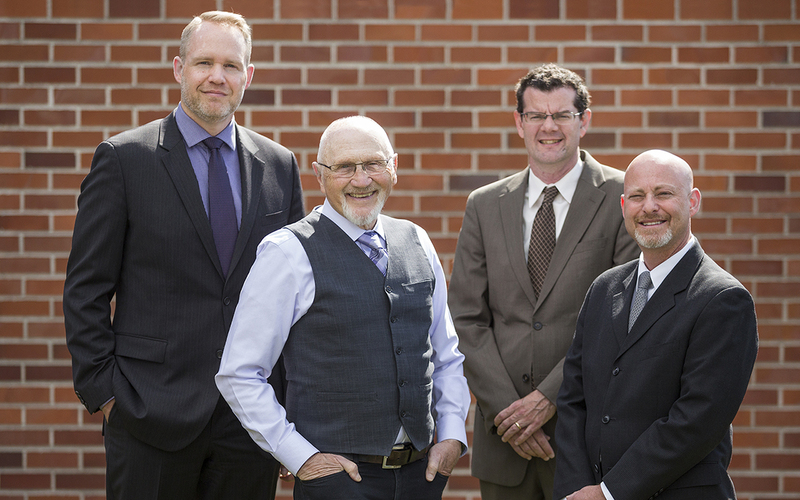 With over 100 years of combined experience and track record of successful multi-million dollar awards and settlements, our Grants Pass personal injury attorneys know what it takes to win your case. Our results speak for themselves. For over 50 years we have been protecting the financial future of personal injury victim's in Grants Pass by fighting for maximum compensation in every case. With more than $30,000,000 recovered in the last three years for our injured clients. Our Grants Pass branch of personal injury Attorneys have the experience to win your case. If you have suffered a personal injury in an accident, or are caring for someone who has, the experienced attorneys at Dwyer Williams Cherkoss Attorneys, PC want to help you pursue the individual or company that caused your injuries to recover full financial compensation. Our dedicated legal team has more than 75 years of combined experience and has successfully recovered millions of dollars in settlements and jury verdicts for our clients. You do not have to suffer through the pain of your injuries or the stress of mounting medical bills and lost wages. We will guide you through the legal process, and you will never pay a fee for our services unless we win your case. Do You Need to Hire an Accident Attorney in Grants Pass, OR? If you have been injured in an accident, no matter how it occurred, you need to speak with an elite legal team today. Our experienced accident attorneys in Grants Pass will handle all communication between your insurance company, the opposing party’s insurance company, and any lawyers hired on their behalf. When we take the lead in your case, you will be able to focus on healing – not on the confusing statements and requirements from the insurance companies. They do not have your best interests in mind. We do. ​Do You Need to Hire an Accident Attorney in Grants Pass? Chances are, you have passed a car accident at some point while driving. The mere thought of what may have happened, and if anyone is hurt takes over your thoughts. Now imagine being the one who was involved in the automobile accident. Your entire life is shifted from enjoying day-to-day activities to the absolute unknown. At Dwyer Williams Cherkoss Attorneys, PC, we can help get you through the next steps, ensuring you get the medical care you need while we handle the investigation, review the police report, and interview witnesses. When you are hurt in an accident, you may not be able to conduct a full review of what happened, but we can. Bicycle accidents are not uncommon in Grants Pass, and the results can be devastating. When a bicyclist is hit by a passenger vehicle, the weight and size of the car, truck or SUV can cause serious injuries including brain, spine, and neck injuries. Even a collision with another bicyclist can lead to being ejected from the bike, causing broken bones, contusions, and serious head injuries. You should not have to face these expenses on your own, and our Dwyer Williams Cherkoss Attorneys, PC will make sure you don’t. Dog bites are terrifying, painful, and sometimes the result of deliberate negligence by the animal’s owner. If a dog owner knows their dog is dangerous but does nothing to ensure his or her visitors, neighbors, or passers-by are safe from the animal’s bite, they are liable for their unlawful ownership role. Dog attacks are often the result of doors or gates that were left open, allowing animals to attack without provocation. Each of these scenarios can lead to expensive and lengthy medical care. When scarring and disfigurement are part of your injuries, your life is changed forever. The owner and their insurance company must be held accountable for your full financial recovery. If you ride a motorcycle or ATV, you are extraordinarily close to the road, street or path you are on, where even near misses make you feel vulnerable. When there is an accident, your entire body is in the path of destruction, and the injuries can be devasting. These accidents often include extended time away from work and the lost wages that accompany your inability to operate normally. The permanency of motorcycle and ATV accident injuries can lead to long-term care, and partial disability is often the result. You are going to need financial help to get back to the best you. We will help establish a case on your behalf. Accidents of all types can lead to neck, back and brain injuries. Unfortunately, these silent personal injuries may not reveal themselves immediately following an accident. That’s why it is important to seek immediate medical care after any accident. These delicate but common injuries are often challenged in courts because the expense of their care can be astronomical. If you have a back, neck or head injury, contact us today so we can put you in touch with the proper medical team, so you receive the best care going forward while we strengthen your case. Placing your elderly family members under another’s care is a stressful accommodation. While you have done the proper research and are placing your faith in an accredited nursing home or healthcare facility, you have no control over what happens when you are not there. And, unfortunately, some patients are unable to recall any of the incidents. Under-qualified, stressed, and even unfit individuals work in these homes and are entrusted with your complete confidence. When something goes wrong, and nursing home abuse occurs, or if you believe there is negligence involved in how your elder is being treated, call us right away. Driving next to a semi-truck is enough to cause severe anxiety to the driver and occupants of a much smaller passenger vehicle. Their size, weight, and cargo load are terrifying, and that’s without considering the condition of the driver. Exhaustion, possible drug or alcohol use, and overall inexperience can cause serious semi-truck accidents that leave others on the road struggling for survival. The negligence can lie with the direct actions of the driver, with the trucking company, the manufacturer, or even their maintenance company. At Dwyer Williams Cherkoss Attorneys, PC, we will identify the responsible parties, and hold them accountable for your medical and financial needs. Slip, trip and fall injuries are often the result of another’s negligence, whether it is at work, on poorly-lit stairwells, on someone’s private property where you are a guest, or simply traversing the city sidewalks. A wet floor in a supermarket, an unmarked hole in a parking lot, or a lack of signage noting where danger is lurking can all cause serious injuries. When you are surprised by dangerous conditions, your body cannot react quickly enough to recover, which means nearly all your weight, back, neck and joints will take the brunt of your fall causing serious, jarring injuries. Recovering compensation takes the investigative experience of our firm to ensure your financial needs are submitted to the proper, negligent person or party. We can help get you there faster. Getting hurt at work can be a challenging time for anyone. Your employer should have the appropriate signage and protocol for injuries at work outlined for you and your coworkers to see and follow. Once you seek medical care, doctors may determine that you cannot work for an extended amount of time or may not be able to return to your previous position at all. Add lost wages, medical expenses, and pain and suffering to your findings, and things are going to become difficult going forward. Do not allow your employer to blame you for the accident. Let our experienced workers’ compensation attorneys guide you through the process to ensure results. Losing a loved one is one of the hardest things an individual and their families will endure. When that loss is sudden and is the result of an accident – either immediately resulting in death, or a result of the injuries sustained in the accident – the grief is overwhelming and will subside any time soon. We’re sorry. Understandably, money is never the first thing that comes to mind. Losing companionship and love is heartbreaking and exhausting. While our accomplished wrongful death attorneys know that no amount of money will remove your grief, it will provide you with extended time to grieve. You will not have to worry about how the bills are getting paid, or what the burial or funeral expenses are going to do to your savings, or what types of benefits you are eligible for without your loved one. We will do the work for you, so you can focus on your family and your emotional well-being. Our compassionate approach will give you the space you need to heal while we investigate each area of recovery on your behalf. At Dwyer Williams Cherkoss Attorneys, PC, our personal injury and accident attorneys in Grants Pass, Oregon protects our Josephine County community from negligent individuals, insurance companies, and opposing legal teams who may try and intimidate them into taking a smaller settlement than they deserve. Do not speak to anyone regarding your accident with injuries without speaking with one of our accomplished attorneys first. We can help you pursue the real financial compensation you deserve. We take each of our cases on a contingency basis, which means If we do not win your case, you do not owe us any fees. Call us today at 541-471-8994 to schedule a free consultation.